Yesterday, I donned some festive garb, and headed to our interfaith community‘s Purim celebration. It has been said that most Jewish holidays fit one recurring theme: “They tried to wipe us out, we survived, let’s eat.” Purim fits that model (along with Passover and Hanukkah). Growing up in a Reform temple, the notion that Purim also celebrates an interfaith marriage somehow never came up. Now, celebrating the holiday with my interfaith community seems particularly appropriate. In the Purim story, Persian King Ahasuerus (apparently a Zoroastrian) chooses Esther in a beauty contest, not realizing that she is Jewish. When the Jews of the land are threatened with genocide, Esther outs herself to the King as Jewish, and convinces him to save her people. The Purim story intrigues for many reasons. The Book of Esther, while part of the Jewish Bible, is not in the Torah, (the most holy Jewish text comprising the first five books of the Bible), but is thought to date from a much later period, with the story taking place somewhere between 600 and 400 BCE. In fact, oddly enough, the Book of Esther does not mention God. Esther, the heroine, with the help of her Uncle Mordecai, uses politics, diplomacy and feminine wiles to save her people. God gets no credit whatsoever. This, along with the fact that the celebration includes drinking, dressing in costumes, loud noise, and games, makes it a popular holiday with the large secular, atheist and agnostic Jewish contingents, as well as with children. Purim shares a sense of rowdy release from social norms with Christian pre-Lenten Carnival festivities, and both holidays seem to trace their origins to “pagan” spring fertility rites. But peering through an interfaith lens, the most radical and transgressive aspect of Purim is the fact that the Jewish community in Persia would have been doomed if Esther had not intermarried. It was only because of her marriage to the Persian king that she was in a place to step up and save her people. What would have happened if she had refused to marry him because he wasn’t Jewish? Intermarriage occurs throughout the Bible: it drives the plot line in many a Biblical story, and not all those who intermarry are women. As a “patrilinial Jew” and an interfaith person, I take issue with the idea that Esther’s intermarriage was acceptable only because she was a woman, or because of extenuating political circumstances. Or that she is somehow a heroine in spite of, and not because of, her immersion in Persian culture. It was, precisely, Esther’s cultural fluidity and willingness to intermarry that saved the Jews. I cannot help hoping that when Jews across the world celebrate Purim, they may, perhaps in a moment of tipsy revelry, open their minds just a little bit more to all that is positive about interfaith marriages: not just ancient, allegorical interfaith marriages taking place in exotic far-off lands, but real, contemporary interfaith marriages. As a Jewish child, straining on my metaphorical tiptoes to peek at the forbidden baby Jesus, I felt kinship with the three strangers who appeared out of nowhere into this story to glimpse Jesus, deliver mysterious gifts, and then quietly disappear once again. Presumably, they were changed by their encounter, but the Bible does not describe how they felt after returning home. For all I knew, they remained sceptics like me, with affection and appreciation for baby Jesus but without necessarily forsaking their own religions. In fact, we know nothing about their religions, though the term Magi used in Matthew (the only gospel to mention them) originally referred to Persian Zoroastrians. Matthew specifies only that they came “from the east”: some believe they were Yemeni Jews. We do know for sure that they did not instantly become Christians–we don’t know if they ever met Paul or his followers as they began to build the church many decades later, long after the death of Jesus. 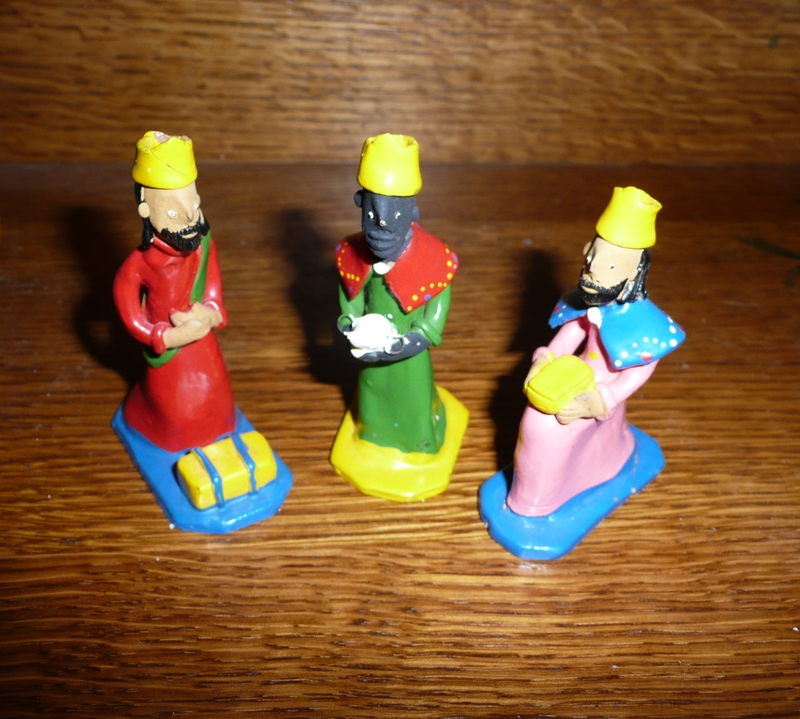 So this week, in honor of the feast that celebrates the Three Kings in many countries around the world, I claim the Magi as fellow interfaith beings. Perhaps they were not beings at all, but only literary devices created by a Christian storyteller who wanted to tie the birth of Jesus back to prophesies in the Torah about a messiah worshiped by kings. But in any case, through my interfaith lens, I cannot help seeing them as Zoroastrians who opened themselves up to strangers in Bethlehem, expanding their spiritual worlds with a mysterious and poetic encounter with the “other.” I imagine how their lives were enriched by straddling their “eastern” culture and religion, whatever it was, and this new experience. But then, I get to thinking about how all of the early followers of Jesus were Jews, struggling with each other and with themselves over how to integrate the Jewish and the proto-Christian perspectives. In a sense, they were all interfaith children. It was only later, through dark conflict and with tragic consequences, that folks were forced to check off box A or box B or box C: to confine themselves to the Jewish, or Christian, or Zoroastrian label. Jewish philosopher Martin Buber wrote of the spiritual significance of entering into an “I and Thou” relationship with the other, with the stranger. Ever since Rabbi Harold White introduced me to Buber’s thinking, this idea has woven through all of my thoughts on interfaith identity. It is interesting to note that Buber married a non-Jew (though Paula Winkler did convert to Orthodox Judaism), and that he advocated strenuously for a two-state solution in Palestine even before the founding of Israel, and continued to advocate for equal rights for Palestinians in Israel and for interreligious communication. As I embrace these three Magi strangers, I wonder what Buber would have thought of my insistence on viewing the world through my interfaith lens, and on viewing religious history as a continuous evolution formed by encounters with the other. In today’s New York Times, an article described the sadness and longing that Jewish converts feel at Christmas. In many cases, the Jews-by-choice are spouses in interfaith marriages hoping to fix the religious asymmetry in their families through conversion. Although Judaism generally eschews proselytizing, Jewish institutions apply considerable pressure on interfaith spouses to convert. The argument goes that conversion is better for the children, who will otherwise be confused. 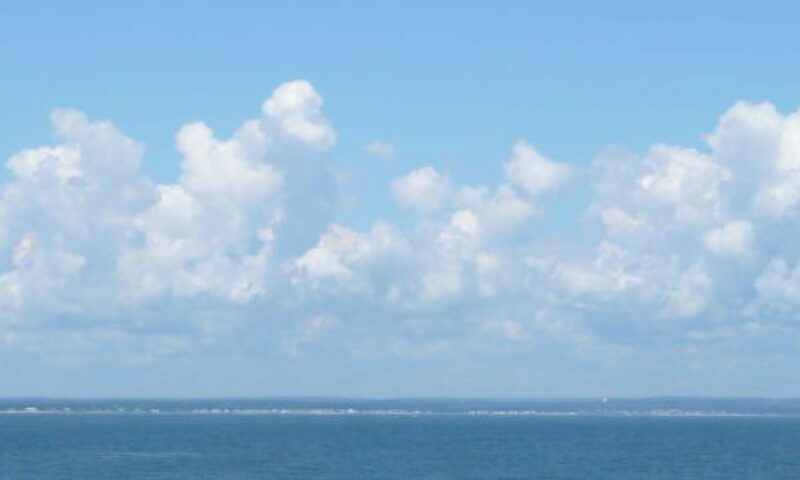 And yet, it can be confusing for children to grow up with parents prone to blues during “the holidays,” parents who feel disconnected from their own parents and siblings, parents who may resent or regret the sacrifices they have made for the sake of an effort to achieve religious coherence or unity in the family. I fully acknowledge that conversion is right for some individuals, and that choosing one religion is right for some interfaith families. All I want (for Christmas) is acknowledgment that there are benefits and drawbacks to choosing one religion for an interfaith family, just as there are benefits and drawbacks to celebrating two religions. And there is virtually no objective, scientific research that weighs the benefits and drawbacks. Each interfaith family must make this decision, and every decision has its costs and rewards. In our interfaith family, we celebrated Christmas this year with abandon, and without regrets. We drank champagne, sang carols, ate a standing rib roast, exchanged presents and cookies with family and friends. Many years we have gone to church on Christmas eve. One year, my son even played the Virgin Mary in the Christmas pageant at our interfaith Sunday School. My husband hangs glowing stars on our porch–an external marker of the Christmas spirit inside our home. I know that Christmas lights are hard for some Jewish spouses in interfaith marriages–we never had them on our house when I was growing up Jewish. How do we weigh the sadness of a Christian spouse who longs for lights, against the sadness of a Jewish spouse who is not entirely comfortable with those same lights? My mother, born Christian, now considers herself a “common law Jew.” But I know that Christmas–the heirloom ornaments, the bulging stockings, the communal meal, the descendants gathered from near and far–sustains my mother throughout the year, and sustains every member of our multi-generational and multi-religious family. For me, embracing Christmas seems ideologically consistent with our desire to fully educate our children about both religions. And for us, though not for everyone, celebrating Christmas also works to minimize sadness. Some Jews Love a Christmas Tree. But a Creche? Oy! I am a Jew who happens to have a Christian mother, a Christian husband, and a Christmas tree. There are lots of ways to rationalize the tree, if you want to avoid confronting the meaning of Christmas. An evergreen has nothing to do with Jesus and is a druid or pagan pre-Christian symbol. Many secularized Jewish families had trees when I was growing up in the 60s, though some called them Hanukkah bushes. But a creche? Not so much. 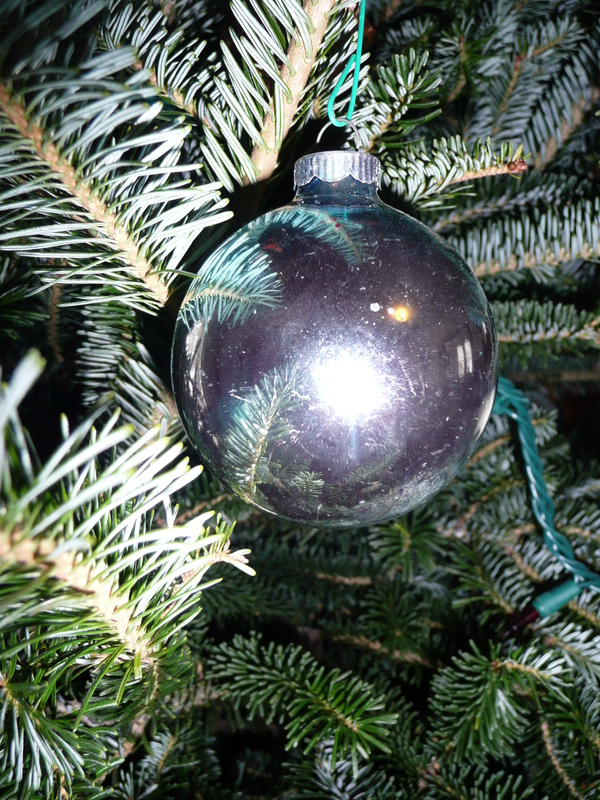 Every December in our adult discussion group at the Interfaith Families Project, facilitator Ian Spatz asks how many interfaith couples have a Christmas tree. Most raise their hands. Then he asks how many have lights strung outside their homes. Not as many hands go up, but some. Then he asks about the creche. One or two lonely hands go up, and inevitably, some Jewish guy asks, “What’s a creche?” According to some surveys by a Jewish organization (not a terribly objective source), about half of all interfaith families have Christmas trees, but only four percent tell their children the Christmas story. Christmas trees are ubiquitous this time of year, and for better or worse, they can pass as “holiday” decorations divorced from the original Christmas narrative. But a creche (French for a nativity scene) is unambiguously religious. The baby Jesus himself lies in the manger, surrounded by all the characters in the story: Joseph, Mary, the shepherds, the wise men. 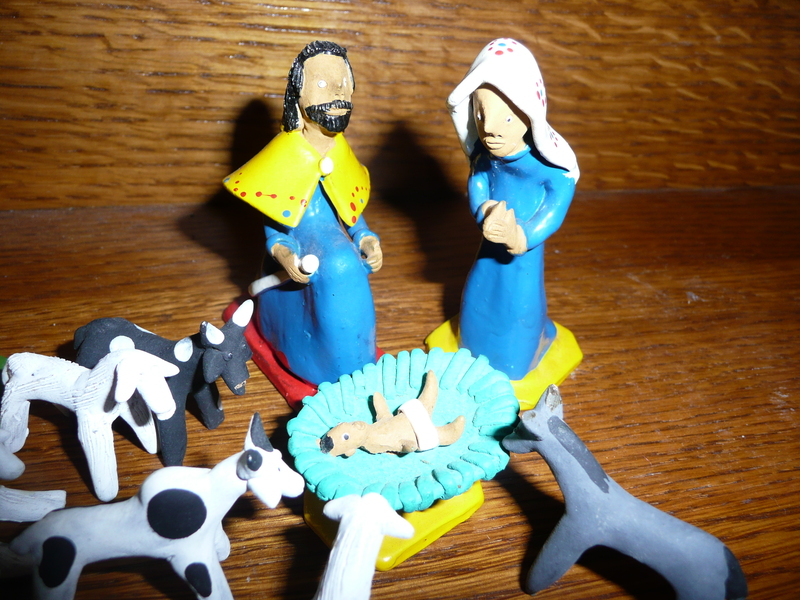 The creche puts the Christ in Christmas decorations. This week, Garrison Keillor lost many of his loyal fans when he made rather bizarre and snarky comments about Unitarians, and about Jews who wrote popular Christmas songs. He seemed greatly offended that these songs have nothing to do with the religious meaning of Christmas. Keillor sounded annoyed with the fact that the season, the lights in the darkness, the cocoa and family togetherness and midnight sledding, can have spiritual meaning for everyone, at least all of us living in northern climes, regardless of religion. Leaving Jesus out of a song does not by definition force one into a life of superficiality and commercialism. I don’t know why Keillor is being so stingy with Christmas. I’m glad for the way great Jewish composers have contributed their songs to the season. But when we decided to raise our children with full knowledge of both religions, we agreed to reach deep into the religious meaning of Christmas, rather than skimming along the sparkly, sugar-frosted surface. And that meant teaching our children that Christmas celebrates the birth of Jesus. We were living in Brazil when our children were babies, and I fell in love there with a quirky creche made up of little clay figures from the famed folkloric art center of Caruaru (in the photo above). For a while, we also arranged a cheesy, plastic Playmobil creche on a low table so that the kids could play with the figurines and work out the nativity story. Our children have heard many versions of the Jesus story: Jesus the political rebel, Jesus the revolutionary rabbi, Jesus the ascetic mystic, Jesus the great Muslim prophet, Jesus the son of God. As a Jew, I have no problem with most of these versions. And I have no problem with exposing my children to a Christmas that transparently celebrates the birth of an extraordinary figure, whoever he was. In the darkened dining room, our family of four gathers around the Hanukkah candles, gazing into the flickering flames and pondering our favorite, inspiring final phrase from “Rock of Ages“: the part about “tyrants disappearing.” We have hit a groove on night four, with everyone remembering all three verses, and my husband’s gorgeous harmonies giving our a capella rendition real depth. Epic fail, as the kids would say. I am trying to provide an unvarnished depiction of the benefits and drawbacks of choosing to raise children with two religions. Clearly, this was a moment when the drawbacks came into clear focus. 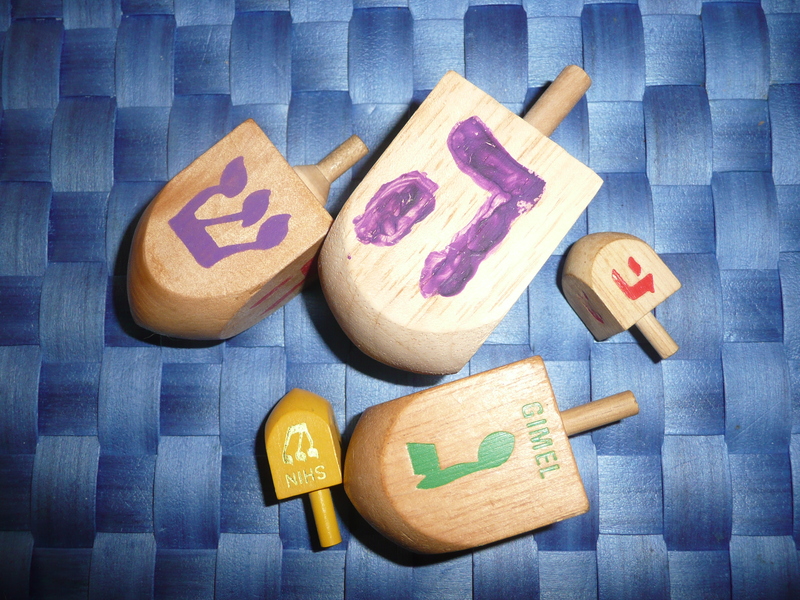 As an interfaith child, I have been celebrating both Christmas and Hanukkah all my life. I’m supposed to be the expert on this. How did I find myself at this awkward moment? I was trying to do too much, failing to provide enough space for the two holidays without creating a distressing mash-up. So here’s the good news. We have managed to say a blessing over the candles and sing each night of Hanukkah, and there have been joyous and tender moments. On the first night, my parents, alone in Boston, got on the speaker phone so that we could sing all three verses of “Rock of Ages” in English together, my family’s tradition. In a year when the holiday does not fall during a school vacation, we appreciate the technological assist in connecting my children to their only Jewish grandparent at Hanukkah. On another night, we celebrated, as we do each year, at the home of some of our closest friends, a rare Jewish/Jewish family in our town. They spoiled us with both white potato and sweet potato latkes (not the kind from a box that I make). And we joined in the hilarious and frenetic Hanukkah klezmer dancing traditional in their family. The bad news is that it is even harder in an interfaith family to meet the challenge of making time, with school events and lessons and meetings and homework, to fit in a meaningful Hanukkah moment. And that’s where I screwed up. I saw a window in the calendar, a night when we did not have particular plans beyond lighting the candles, when I thought we could get the tree trimmed. The tree had already been waiting on the porch for several days, and was now sitting patiently inside on its stand in the corner. The nakedness of the tree had started to feel like a silent rebuke. Was I giving space to my husband, to my children, to anticipate Christmas? In other ways, I had already minimized some of the Christmas anticipation to make more room for Hanukkah and simplify the season. 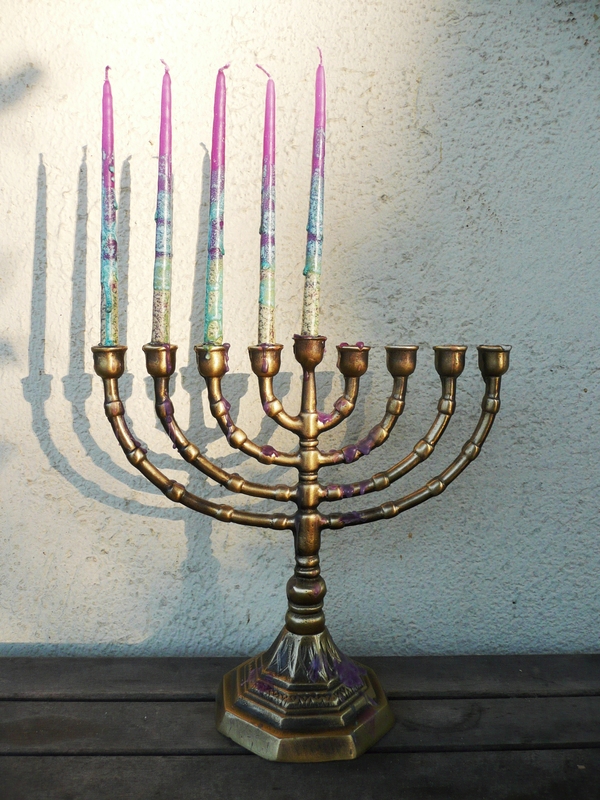 I decided years ago that we would not light Advent candles, or open a daily Advent calendar, even though these are lovely traditions, precisely because I wanted to clear space for Hanukkah.And the truth is that I felt the candle-lighting Advent tradition, in particular, felt too close to Hanukkah in its form. So on night four of Hanukkah, I moved a little too quickly into Christmas mode, and everyone felt it, including me. The fact that we all noticed, that it felt like a rough transition, does, ironically, reassure me that the overall plan is working. These are substantive holidays, with deeper meaning, for me, for my children. If they were superficial celebrations, the transition would not have mattered so much. After a few awkward moments, we got into the festive trimming mode. Nat King Cole helped, as did the memories unwrapped with each ornament. Our cat hid inside an empty box and played with the crumpled newspapers. Our dog, who has perpetually worried eyebrows, paced about and looked vaguely concerned by all the unfamiliar objects. My son’s analysis: “Kitty is Christian, and the dog is Jewish.” We strive for balance, even in our pets.